Should you be unable to find the answer to your question(s), please do not hesitate to get in touch with us by e-mail or telephone. 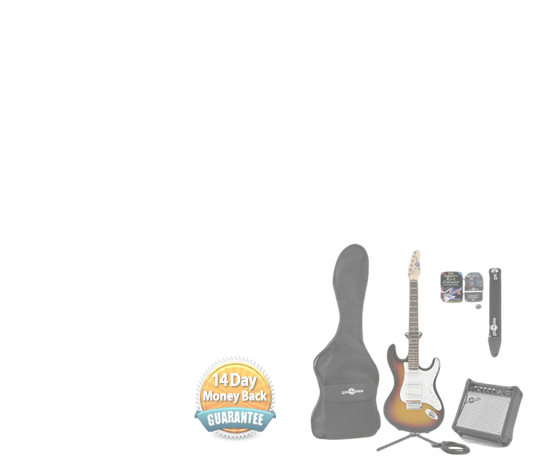 In this day and age we all want to get the best value for our money when it comes to musical instruments. That’s why at Monaghan Music and Piano Centre/ we have introduced our new “Price Match Guarantee” scheme, which simply means that if you are interested in any musical instrument from us – whether it’s, a piano, a guitar or any of the other musical instruments we sell on-line – we Guarantee to either Match or Beat our Competitors Price – it’s as simple as that. 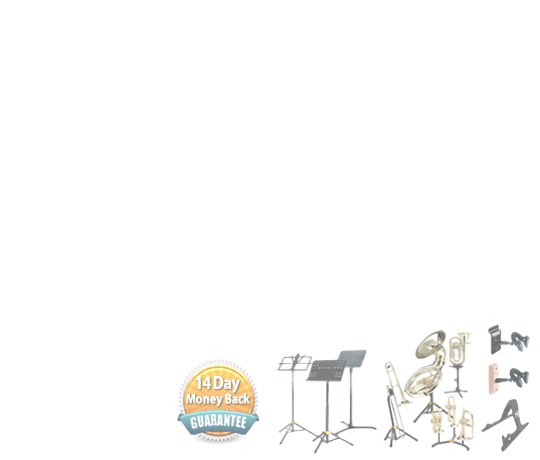 The Price we Guarantee is the FULL PRICE you pay to have the instrument delivered directly to your home – including all Delivery, VAT and any additional Taxes. It is important to make sure you include these costs from any competitor when asking us for a Price Match. We’re sure you’ll agree this is one of the best Price Match schemes available if you find something we welcome your feedback. We’ll match the product prices of key online and local competitors. At the time of order, we price match all local retail competitors (including their online prices). 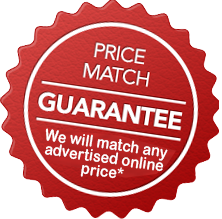 Our Price Match Guarantee covers one price match per identical item, per customer, at the current price available to all customers. 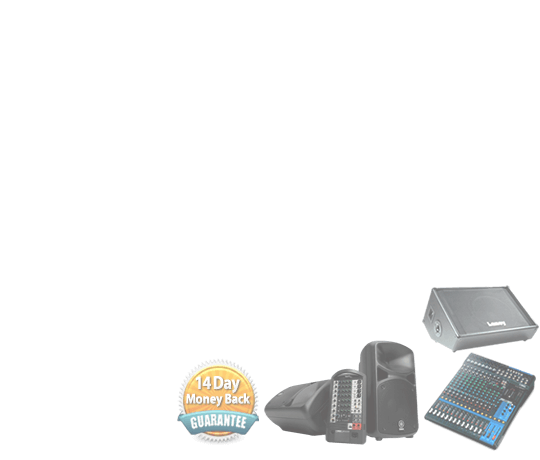 Any financing offers, bundle offers, free items, pricing errors, mail-in offers, coupon offers, items that are advertised as limited quantity, out of stock items, clearance items, open-box items, refurbished items, pre-owned items, deal of the day, daily deals, special hour sale event items, credit card offers, gift card offers, rent/lease to own items, and items for sale. The language used for the ordering process and the conclusion of the contract is English. The contract is stored, and the order data and General Terms and Conditions are sent to the customer by email. Customers can view all of their previous orders after logging into the customer service pages of the website (see our General Terms and Conditions of Business). If your order is large and it is your first order by credit card, we may request proof of the card’s details – for your safety as well as ours! PayPal is a popular method of payment at Monaghan Music & Pianocentre. It’s quick, easy and safe! If you haven’t got an account with Paypal already, you can set one up at www.paypal.com. The procedure is very simple! Should the total of your order exceed the initial amount you were shown online when making your order (due to extra shipping charges or higher VAT rates in your delivery destination), it’s possible to make an extra payment by PayPal. Our staff will give you further information on this with your order confirmation by email. Please note: If you choose PayPal as payment method immediately instead of clicking on our “Go to check out”-button, the address details saved on your PayPal account will be used for your order. We therefore kindly ask you to check if the address information on your PayPal account is complete and up to date. You can make a SEPA transfer directly from your account holding bank. They will ask you for our IBAN and Swift/BIC Code. All this information is provided by us here at Monaghan Music & Pianocentre and will be sent to you in your order confirmation. Some banks will apply a charge to transfer money across to us here in Ireland, so please check beforehand. NOTE: Acceptance of payment may be dependent on the payment provider who may require security information to be entered or validation checks to be carried out as part of their secure payment system. If payment is not accepted, you will be notified of this. Please check your payment provider terms and conditions. What About Exchange Rates If I Am Based In UK? As we are based in Ireland, we can only trade in Euros. This means that all prices given in pounds on the website fluctuate with the markets and should be used for guidance only. If you are paying by credit card the exchange rate of the day we take the money from your card applies, please note that we only charge your credit card shortly before the order gets shipped out. It is possible that your credit card company applies a different, more unfavourable exchange rate, please note that this depends on the credit card company and we unfortunately have no influence on that. Some credit card companies might also charge extra fees for international transactions, which has nothing to do with the exchange rate itself. Again we have no influence on that and cannot be held responsible, sorry! Deliveries within Ireland will be charged at the local Irish VAT rate. Due to the turnover of our company, EU law requires us to charge the local VAT rate of all EU countries. We do not have currently a website for each EU country showing the differing prices and VAT rates. We indicate each country’s website with a flag in the top right hand corner of the web page. Should your country’s flag not be available on our website please contact our international department for more details. You may use the UK flag to make an order, however please note that these prices may vary from the total shown on your final order confirmation. Orders outside of the EU will not be charged 23% Irish VAT rate BUT orders shipped to Australia will be charged 10% GST. If you require your order to be shipped to a country within the EU, then the answer is no. The total price we quote you includes the relevant local VAT rate for that country and no more taxes or import duties are necessary. However – should you require your order to be sent to a country outside the EU then the Irish VAT will be excluded and the receiver of the goods will be responsible for paying the necessary VAT, import and customs duties upon arrival in that country. For deliveries from Ireland to countries outside the European Union customs or import charges are to be paid upon arrival of the shipment in the country of destination. This is over and above the standard import duties. Charges for customs clearance (and its handling, e.g. by a forwarding agency) have to be paid for by the customer. We do not have any influence on these charges and cannot predict the amount. The customs regulations vary significantly from country to country. If you would like more information about this please contact your local customs office. Please note that you, as an importer, have to adhere to the regulations of the country in question. We include a separate field on our online ordering form to enable you to receive your order at a different delivery address. This may be for example, your work address or a friend or relative’s address, if you know you will not be at home to receive the parcel. Please instruct the recipient to check the parcel carefully for any signs of damage or tampering before signing for the parcel. Estimated delivery dates will vary depending on stock status and the delivery country. If you live in a remote area, it may take longer to deliver your order and some delivery services may not be available. What Happens If I Am Not In When The Courier Arrives? The courier should leave a card to let you know they tried to deliver. They will usually try to deliver again the next day, but alternatively, you can contact them directly using the details they provide on the card, to arrange a different delivery day. This is a very rare occurrence, but occasionally things do go wrong. Please send an email to sales@pianocentre.com including your customer account code or order number, and let us know the details of the problem. We will collect the incorrect item from you, and arrange to get the correct item sent out to you as quickly as possible. Your item could be delivered anytime between 8am and 6pm. Sorry, but we can’t track your order on the actual day of delivery to provide you with a more accurate time. If you need a more accurate delivery time, please contact us on +353 (0)47 89232. I’ve Been Tracking My Package, But It Doesn’t Seem To Be Moving. Why? Your package is still within the courier network and, unless otherwise noted, should be delivered on the scheduled delivery date. Shipment movement information is captured each time a tracking label is scanned in the courier delivery system. There may be several days between scans if the shipment is going cross-country or moving between countries. What to do if your package shows as delivered but you can’t find it. If you have ordered a product but do not wish to keep it, you can return it using our 30 Day Returns policy. You also have statutory rights to return unwanted products – see Legal 7 Day Cooling off Period. If your product is faulty or has been damaged in transit, please see If your product is damaged or faulty for how to return these products. Save as set out below, you may return any product you have purchased to us in its original condition, unused and in its original packaging within 30 days of the date it was delivered to you and receive a refund. In order to take advantage of this, you must contact us on sales@pianocentre.com or at 047 89232 as soon as possible after delivery of the product to your delivery address. If any products in your Dispatch Confirmation email have been delivered separately to you, you must contact us on sales@pianocentre.com or at 047 89232 as soon as possible after delivery to you of the last product in that order. Unless we have agreed to collect the product, you must return the product to us within the 30 day period. Any products returned outside the 30 day period (or not made available for collection by you at the time we agree with you) will not be eligible for a refund. We do not accept returns of the following under our 30 Day Returns policy: damaged items, special order items, products which are hired rather than purchased, modified items, earplugs, earphones or mouthpieces. If we consider any returned product to have been used, damaged, not in its original packaging or if the tags or labels are missing or removed, we may reject the return and not give a refund. You should obtain and keep proof of postage in case you need it as evidence that you have returned the product to us as the returned products are your responsibility until they arrive at our warehouse. We will issue a refund for the price you paid for the products, less your original costs of carriage, returns delivery charges (or the cost of collection) within 10 working days of the date we receive or collect the returned item(s). We will inform you by email when we refund you. All refunds will be made using the same method originally used by you to pay for your purchase. We will only credit the debit or credit card used to make the original purchase. Our 30 Day Returns policy does not affect your statutory or other legal rights. By law, consumers in the European Union have the right to withdraw from the purchase of an item within 14 working days of the day after the date the product is delivered. In order to exercise this right you must notify us by email at on sales@pianocentre.com or by phone at 047 89232 within the 14 working day period that you wish to exercise your statutory right to withdraw from your purchase. Unless we have agreed to collect the product, you must return the product to us. You should return the products to us within 21 days of giving notice of cancellation. Where possible, please use or include with the product being returned, all original boxes, instructions/documents and wrappings. We will issue a refund for the price you paid for the products (including standard delivery charges) as soon as possible and in any event within 30 days of your notice of cancellation. We will inform you by email when we refund you. You are responsible for the costs of returning the products or our costs of collection. All refunds will be made using the same method originally used by you to pay for your purchase. We will only credit the debit or credit card used to make the original purchase. Please note that these rights do not apply to products you have hired from us or any products which have been specially made for you. Please note that you are under a statutory duty to take reasonable care of the products whilst they are in your possession. If you fail to exercise such reasonable care, we may, depending on the circumstances, have a right of action against you for breach of statutory duty. Failure to exercise such reasonable care may, depending on the circumstances, be demonstrated by your failure to include all of the product´s instructions, documents and wrappings when returning the product, the product being damaged or not in the same condition as you received it or having been used. If you think a product is faulty or defective you should contact us by email on sales@pianocentre.com or by phone at 047 89232 as soon as you are aware of the fault. We will then arrange for collection of the product at our cost. If having examined the product, we confirm by email or telephone that it is defective, we will either issue a refund for the price you paid for the product and all delivery charges or, if you wish, repair it or provide a replacement. If you inform us more than six months from the date of purchase, you will be responsible for the costs of collection of the product. This warranty excludes items that have become defective due to misuse, accidental damage or any reason other than manufacturing fault. If an item is found to be without fault on its return to us, and is out of the period of our 30 Day Return Policy, then we will return the item to you and you may be charged for the cost of return and/or collection. We recommend that you insure your product. If you require a refund, we will issue a refund for the price you paid for the product (including all delivery charges) within a reasonable period of time and usually within 10 working days of the date that we confirm by email that your product is faulty. We will inform you by email when we refund you. All refunds will be made using the same method originally used by you to pay for your purchase. We will only credit the debit or credit card used to make the original purchase. If you have indicated to us that you wish to have a replacement product rather than a refund, we will provide such replacement product (subject to availability) as soon as we are able. You will not be liable for the delivery charges for the replacement product. If you have indicated to use that you wish to have the product repaired, we will liaise with the manufacturer and keep you informed. This may take up to 30 days. If we are unable to have the product repaired we will either replace the product or provide a refund on the terms set out in this section. Please note that you have statutory rights in relation to the condition and conformity of goods. This does not affect your statutory rights. If your products have not been delivered to your delivery address within 30 days of the Dispatch Confirmation you may cancel your order or request a replacement. If your delivery has not arrived by its estimated due date please check your tracking information and/or contact us by email at sales@pianocentre.com. If delivery of your products has not been attempted within the 30 day period and you wish to cancel your order or request a replacement please contact us by email at sales@pianocentre.com giving details of your missing order and we will provide a refund or replacement. We will issue a refund for the price you paid for the products (including delivery charges) as soon as possible and usually within 10 working days of the date of your email or we will provide a replacement as soon as reasonably possible (and subject to stock availability). We will inform you by email when we refund you or despatch a replacement. Refunds will be made using the same method originally used by you to pay for your purchase. We will only credit the debit or credit card used to make the original purchase. If your products arrive after cancellation please return them unopened and in their original condition to us by following the procedure for our 30 Day Returns Policy. You should obtain and keep proof of postage in case you need it as evidence that you have returned the product to us as the returned products are your responsibility until they arrive at our warehouse. You may also require proof of postage if you need to claim from the courier or Royal Mail or other postal service. If your order has been despatched but you believe items are missing please check your account. If your order was for multiple items, please bear in mind that products may be sent out and arrive separately. However, if this is not the case and you haven’t received the entire order as detailed in the Dispatch Confirmation, please contact us by email at sales@pianocentre.com as soon as possible and in any event within 30 days of delivery. Please note that we will check our warehouse CCTV footage and recorded box weight to verify your claim. If your parcel has been tampered with or damaged in transit, please let us know. If we are satisfied that items were missing from your parcel we will send out a replacement as soon as possible (subject to availability). Monaghan Music & Piano Centre Ltd.
We are always here to help, if you have questions, please email to sales@pianocentre.com or call our customer service team at 047 89232. When we receive deliveries from our suppliers we check all cardboard packaging materials for shipping or packaging mistakes. From experience, we know that our customers prefer closed original boxes rather than opened and tested goods. Sometimes we add English manuals to the boxes, but in most cases, the equipment goes through us without being opened. Guitars and some other acoustic instruments like violins and double basses are an exception – before being shipped they are quality controlled by our qualified experts or by the manufacturer to make sure that you´ll get a perfect instrument. Final personal adjustments are naturally left to you. B stock products are always checked by us to ensure they are complete and working. We assure you that they are free from defects and you get the same warranty as a brand new item. You can always exchange a B stock product within 30 days after the purchase should you decide you would rather have a brand new item. Yes, all shipments are fully insured during transport! Please check all parcels when you receive them. We pack the products carefully, but transport damages cannot be ruled out. If you notice any problem inform the carrier right away and insist on getting a written damage report or refuse the parcel if this report is not supplied. Damage reports need to be filed within 24 hours and they are the only way to file an insurance claim for the damages. After receiving the damage report, please contact our customer service +353 47 89232 or info@pianocentre.com to organize a replacement. So you thought a particular product was the right one for you, and then you discover it’s not. Well, that’s life. But no problem! 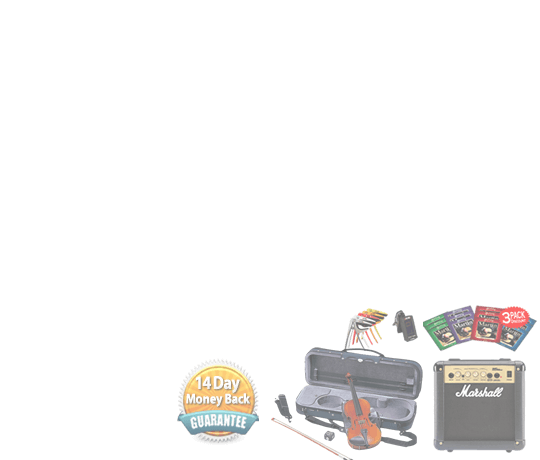 We grant a 30-Day Money-Back Guarantee on any item you buy at Monaghan Music & Pianocentre. Even as a commercial customer we offer you full 30 Days Money-Back – no hassles, no questions asked! If you’re not completely satisfied, please contact us, and we’ll arrange a return service. Simply fill out the online “return product” form in the customer center. You will then receive all necessary information for the return shipment. Try your purchased product at home for 30 days, risk-free. Your satisfaction is guaranteed. Should you have a problem or are not happy with any of our product purchased on our website, please contact us on 047 89232. Or send us an email at sales@pianocentre.com. Either way, we can help work through any issues you may have with your purchase. If you feel the product just isn’t right for you, simply call the number above to arrange a return directly to us within 30 days. Postage and packing is not included in the risk free offer. Product must be returned in its original condition. All products carry a 1 year warranty unless otherwise stated. If items become defective due to manufacture fault within six months of purchase then the vendor will arrange for the collection and repair of the product entirely at the vendors cost. If the product can not be repaired within 60 days, then a replacement product will be issued, which will not be older and not be in worse condition than original product returned by the purchaser. If the item becomes defective within the warranty period, but after six months from the date of delivery, then the same conditions as above apply but the customer will be responsible for the cost of returning the product to the vendor. Products may not be returned to the Vendor for refund later than 28 days from delivery unless the vendor is unable to comply with its warranty obligations. This warranty excludes items that have become defective due to miss use, accidental damage or any reason other than manufacture fault. If an item is found to be without fault on its return to Monaghan Music & Piano Centre, and is out of the period of 28 day money back guarantee, then we will return the item to you for a small charge. We recommend that you insure your goods. The Monaghan Music & Piano Centre extended warranty scheme provides an enhanced service, and is designed to offer a higher level of protection than our standard warranty or free warranties offered by other retailers and manufacturers. 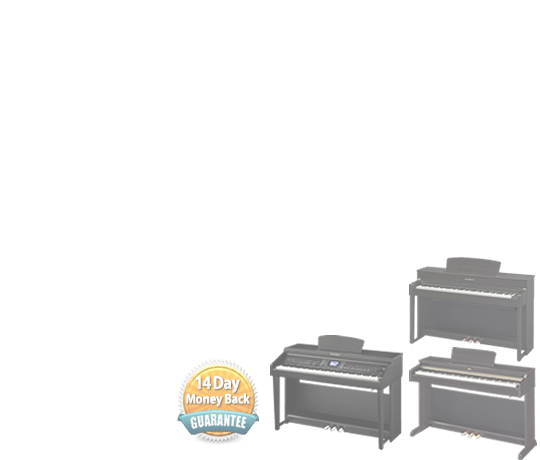 All new Digital Pianos come with a one year, limited warranty. The limited warranty for Digital Pianos can be extended to up to five years if the end-user registers their product with the manufacturing company (Yamaha, Roland etc.) within 90 days of purchase. Only registrations completed within 90 days of the purchase date will qualify for the extended cover. Only products bought within Ireland / Northern Ireland from an authorised dealer can be registered within Ireland / Northern Ireland. If the customer purchased outside of Ireland / Northern Ireland or from a non-authorised dealer, please address any warranty claims with the dealer or the distributor of the company in that country. All new and used Japanese upright and grand pianos come with a five year limited warranty. All older second-hand upright and grand pianos come with a one year limited warranty. Piano Tuning is the most essential regularly-scheduled form of piano maintenance. Tuning is a process which alters the pitch of the piano. We use tuning as means to positively change intonation to best suit our standard of equal temperament and compliment the diatonic scale. Tuning restores the balance of the piano by returning it to the standard pitch for which it was designed. Regular tuning in equal temperament allows the piano to sound well in in any chosen key. Piano tuning involves the physical manipulation and movement of approximately 236 tuning pins altering the tension of the wire which is attached to each tuning pin, in order to change the pitch, either higher (sharp) or lower (flat). Each note is “set” at a place which provides for the distribution of frequencies and beat rates that we find most pleasing to our ears. Piano tuning is an art in itself and takes many years to develop the knowledge, skills and proficiencies necessary for artistic tunings. The overall skills needed for aural tuning require exhaustive practice, patience and dedication. Piano tuning in Ireland on a regular basis is especially important due to seasonal changes and frequent swings in temperature and humidity levels. Most pianos should be tuned twice yearly. Many of our clients have their pianos tuned much more frequently. Recording studios, concert halls, performances venues, bars and clubs, some schools and fine pianists often request tuning on a more frequents basis, as these instruments are in constant use. Most pianos should be tuned twice a year. If that can be done in accordance with seasonal changes, all the better. Pianos go out of tune for a variety of reasons. Pianos are sensitive to climate change, temperature and humidity levels. When moisture levels increase (such as during summer months) pianos often go sharp in pitch. This is because the strings are stretched from the tuning pin at the front of the piano to a hitch pin on the rigid cast iron plate or frame. Each string passes over a bridge (either treble or bass) and makes its connection to the soundboard via the bridge. When the moisture content of the soundboard increases, the board rises in reaction because it has absorbed ambient moisture from the air. Pitch rises or becomes sharp as the strings are tensioned by the enlarged soundboard, which has a diaphragmatic shape. The opposite is true when moisture levels decrease such as during winter months as moisture leaves the soundboard. Pitch drops (or goes flat) as strings relax due to shrinkage of the soundboard profile. Pianos also go out of tune from frequent or hard playing as piano hammers impact the strings directly. Piano wire does also stretch for several years due to elasticity of the wire. Over time it becomes more brittle and no longer stretches noticeably. 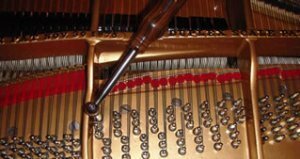 Pianos also go out of tune when the pinblock (wood, usually a thick maple block under the tuning pins) becomes weak over time and loses the ability to hold a necessary amount of torque at the tuning pins to prevent slipping. A common reason for piano rebuilding is the inability of the piano to stay in tune because of a pinblock failure. Started by Niall McLean, Monaghan Music and Piano Centre has been providing piano restoration services for over 30 years now. Specializing in tuning, restoration and sales advice, we are the place for all your piano needs and questions. Just one conversation about your Piano will confirm to you our deep understanding of your instrument and what we’ll do to restore its tone and playability. Whether you’re looking to purchase a newly restored piano, or to have your own vintage piano refurbished, you can depend on our experienced craftsmanship. But it’s not just the many years of experience that instills trust, it’s confidence that the job will be done right to your special needs, your budget and your timing. We at Monaghan Music and Piano Centre, consider each piano an individual work of art and use only the highest quality parts because we’re committed to restoring your piano to original specifications. Many hours of detailed work go into the restoration process to ensure superior results because our goal is to deliver a magnificent instrument that will give you a lifetime of joy and happiness. Your beautifully restored piano will look and sound just like it did when it was brand new, or even better. Belly: Soundboard repair or replacement, new custom pinblock fitting and boring, damper felting, tuning pins and custom string replacement. Our soundboards either new or restored are varnished with high quality custom varnish and hand rubbed to bring out a beautiful patina. The plate or harp is artistically gilded with a proprietary gold finish over an epoxy primer base and final-finished in clear acrylic. Hand lettering of the embossed letters of the plate completes this process. Cabinet: Repair and complete professional refinishing. We hand strip each piano and every part separately. In our shop there is no dipping or soaking of parts. Hand and machine sanding follow in preparation for custom stain or ebony finish. Veneer and case damages of all kinds are carefully repaired prior to staining. The finishing procedure includes application of wood grain filler, stain, sealer and fine lacquer coats. Our final finish is hand rubbed and known in the industry as a classic “piano finish”. Keyboard and Action: Key recovering, ivory repair, keyframe felting and custom replacement of action parts including: wippens (repetitions), hammers, hammer shanks and flanges. Regulation & Voicing: Each piano is put through the process of preliminary, intermediate and final regulation and voicing. These are painstaking adjustments to each action part and hammer in order to realize the full potential of the piano as a musical instrument. Complete action regulation is a process that involves cleaning and bedding the keyframe, minimizing friction, establishing a best key height and key travel (dip), key squaring and spacing, hammer blow distance, alignment and vertical travel of all components of the wippen and hammer assemblies, hammer shape and density, adjustments of the repetition lever, jack, repetition spring, back check, let off, drop and after-touch assessment. Damper regulation and timing is also a component of this cyclical process. From simple reconditioning to complete restoration, let us help you enjoy your cherished piano for another generation. Come to us for the complete service: we take care of the delivery, installation, onsite tuning and collection – all to fit in with your schedules. Small modern upright pianos for theatre production or rehearsal. 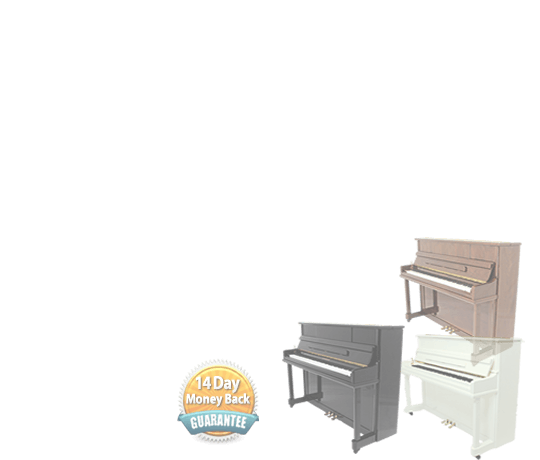 Larger upright pianos for hotel receptions, corporate dinners or recording sessions. Small grand pianos for wedding receptions, television filming or corporate receptions. Boudoir sized grand pianos for music recitals or special occasions. 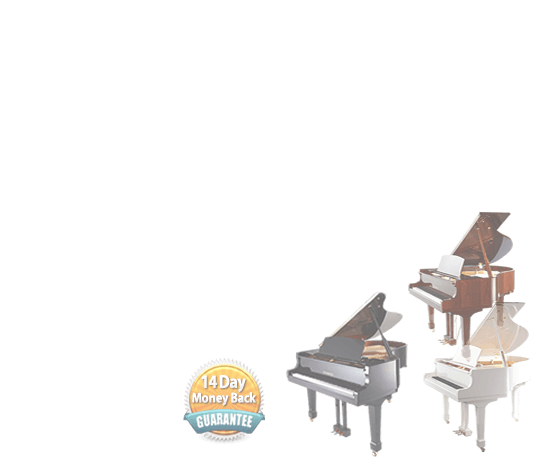 Large concert grand pianos for large performance venues. Most instruments are in black ebony polyester, however we do have glossy white grand pianos for glamorous/photographic events and wood finish instruments for a traditional look. 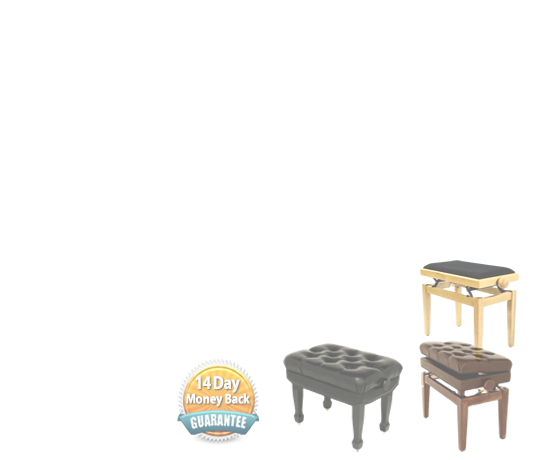 All the instruments we supply have been serviced and are always sent out with a matching stool. Rates for event hire, including both delivery and collection, start at €200 + VAT for an upright piano and €400 + VAT for a grand piano. We can send our tuner to your venue after installation for €90 + VAT. For large venues requiring the finest Concert Grand pianos we can supply a Bechstein Model D (9’2″) €1000 + VAT . Pianos are sensitive pieces of equipment and moving a piano yourself can lead to damage to your piano, damage to your house, or even injury. Piano movers have years of experience that lets them move a piano safely and efficiently. Our professional and experienced removal crew will make your piano move easy, stress-free and safe. Equipped with heavy duty lifting straps, tail lift removal trucks , piano skates and hand truck means that we can move any piano form anywhere to anywhere without a problem. Your Piano will be covered with thick piano protecting blankets and strapped in for transport. Our lifting straps, trollies and other moving equipment ensures the absolute safety of your piano. E-mail us now, or call us on 047 89232 to arrange to have your piano moved. The following describes the Social Media Disclosure for our Monaghan Music & Pianocentre website. We live in an interesting time when privacy rights are championed alongside an unprecedented voluntary willingness of people to share their most intimate and superfluous life details with the world, even in places such as our Monaghan Music & Pianocentre website. While apparently benign on the surface, the dangers of unrestrained public disclosure of sensitive information is beginning to surface. As social media rapidly advances to allow more technologically sophisticated and easy dissemination, the simultaneous fallout of revelation without boundaries is mounting. Thus, a sober approach to the benefits of social media, while sidestepping the perils of imprudent disclosure, can facilitate an enjoyable online experience, without the consequences of excess, in settings such as our own Monaghan Music & Pianocentre website. You should assume that social media is in use on our Monaghan Music & Pianocentre website. A simple click of a button to endorse a person, product, or service is building a cumulative profile about you, which you should always assume can be discovered by others. Attempting to share a website with someone, whether by direct press of a button or else by email forwarding facilitated on a website, you should assume that this may not stop with the intended recipient and that this can generate information about you that could be seen by a veritable infinite number of people. Such a domino effect could initiate right here on our Monaghan Music & Pianocentre website. Something as simple as a blog comment provides the opportunity for knee-jerk reactions that can become public and may not truly represent a position (at least in strength or severity) that you might hold after a period of more reasoned contemplation. You should also note that the ease of accessing one site through the login credentials of another, or the use of a global login for access to multiple sites can accumulate a dossier on you and your online behaviour that may reveal more information to unintended parties than you might realize or want. Any or all of these features could exist on our Monaghan Music & Pianocentre website at one time or another. Ideal use of social media on our website would confine your disclosures primarily to matters pertaining to you, not others. If in doubt, it’s best to err on the side of non-disclosure. It’s doubtful the disclosure is so meaningful that it cannot be offset by the precaution of acting to protect the best interests of someone who is involuntarily being exposed by your decision to disclose something on our Monaghan Music & Pianocentre website (or another). You should likewise pause to consider the long-term effects of a split-second decision to publicly share private information about yourself on our Monaghan Music & Pianocentre website. Opinions, likes, dislikes, preferences, and otherwise can change. Openly divulging perspectives that you hold today, may conflict with your developing views into the futures. Yet, the “new you” will always stand juxtaposed against the prior declarations you made that are now concretized as part of your public profile. While the contents of your breakfast may hold little long-term impact, other data likewise readily shared can have consequences that could conceivably impact your ability to obtain certain employment or hinder other life experiences and ambitions. You, as a visitor to our Monaghan Music & Pianocentre website, are not permitted to “mine” social media or other platforms contained herein for personal information related to others. Even where people have publicly displayed data, you should not construe that as though you have the liberty to capture, reproduce, or reuse that information. Any use of social media or related platforms on our website are for interactive use only, relevant only during the website visit. The following describes the Anti-Spam Policy for our Monaghan Music & Pianocentre website. Spam is unsolicited email, also known as junk mail (received via email), or UCE (Unsolicited Commercial Email). Virtually all of us have opened the inbox of an email account and found emails from an unknown sender. By sending email only to those who have requested to receive it, we at Monaghan Music & Pianocentre are following accepted permission-based email guidelines. They exist. However, as with any body of laws, any individual State spam statutes can and will vary. The spam laws of each State can not only vary, but also have different definitions of unsolicited commercial email. Additionally, there may be various federal agencies keeping track of spam, including the Federal Trade Commission (FTC). At the Federal level, the CAN-SPAM Act of 2003 promulgates some attempt at a coherent and unified approach to unsolicited commercial email. Ultimately, it would be difficult to enforce spam law violations on any consistent or pervasive basis, so your own vigilance is your own best first line of defense. Beyond that, we protect you by ensuring that you are 100% in control of whether or not you ever hear from Monaghan Music & Pianocentre by email initially or in the future, as detailed in our “No Tolerance” policy below. WE HAVE A NO TOLERANCE SPAM POLICY. We do not email unless someone has filled out an “opt in” form or “webform” expressing an interest in our information or products and/or services, or otherwise directly and proactively requesting it. News of the features and benefits of Membership is spread through advertising, joint venture marketing, and word of mouth, so we are only building relationship with folks who wish to learn more about what we have to offer and willingly subscribe to our content and contact through email. You are always completely in control of whether you receive email communication from Monaghan Music & Pianocentre, and can terminate at any time. NOTE – Every auto-generated email contains a mandatory unsubscribe link that cannot be removed. Therefore, each communication generated by Monaghan Music & Pianocentre carries with it the option to “unsubscribe” and never receive another email communication from Monaghan Music & Pianocentre.